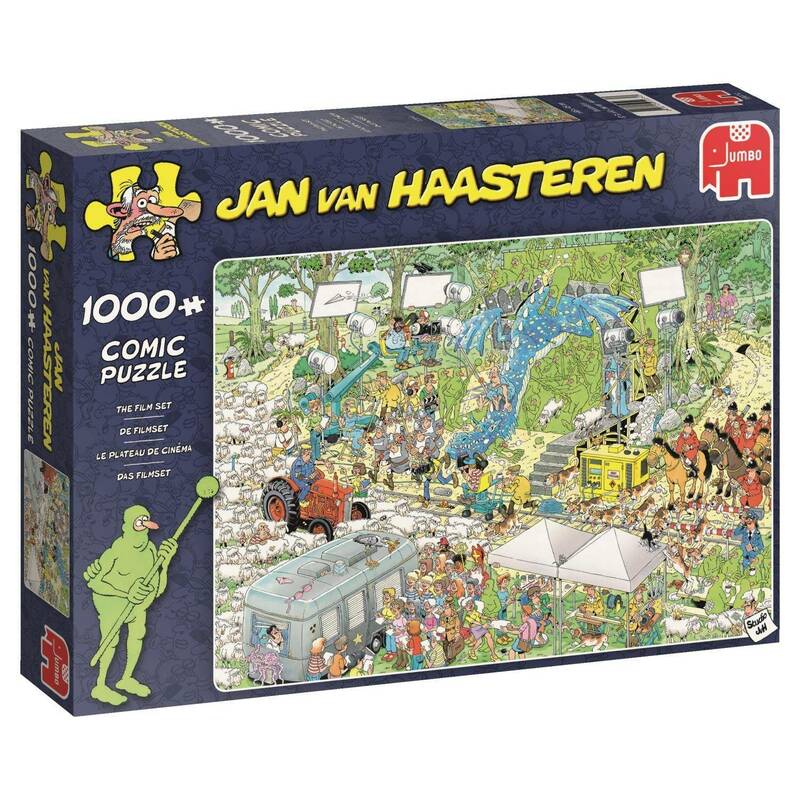 ‘The Film Set’ is the title of this Jan van Haasteren 1000 piece jigsaw puzzle and, as with all of his illustrations, you are sure to find this puzzle extremely enjoyable while laughing at all of the individual illustrations. 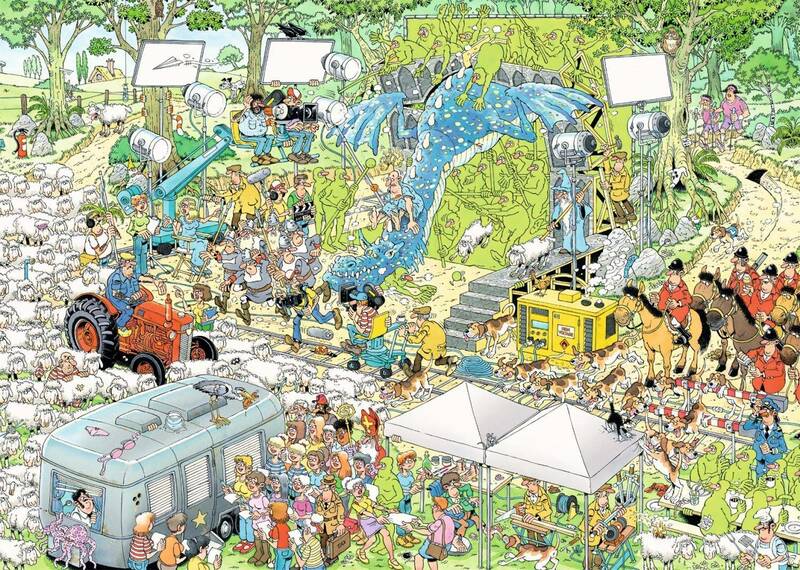 The finished puzzle image captures a highly comical scene at a TV studio, but as with every Jan van Haasteren puzzle, not everything is going to plan with chaos happening on the set! To give you a taste of the humour in this puzzle, you can see the crew falling out of the dragon sculpture, along with the dogs sprinting themselves across the set causing everyone on set problems. 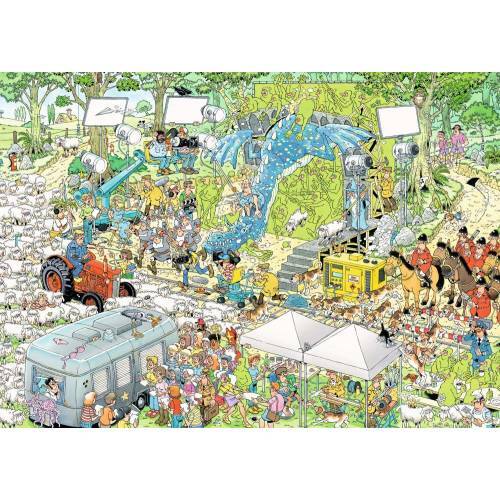 If this small taster of the illustrations in this 1000 piece puzzle sounds like your cup of tea, then don’t miss out on the fun of piecing this puzzle together because there are many more hilarious illustrations to be enjoyed. This 1000 piece Jan van Haasteren jigsaw puzzle is the perfect starter for puzzlers who may have never pieced together a JVH jigsaw puzzle before - or it is a nice addition to loyal JVH fans collections. The finished size of a 1000 piece puzzle measures 68 x 49cm (approximately) and the entire jigsaw puzzle has been produced using a high quality cardboard to ensure every jigsaw piece maintains its original shape during use and has a poster-like finish.